Gathering around a fireplace or campsite is incredibly fun. You can make some of your best memories sharing stories around the fire’s light. Yet, you’ll miss out on this moment if you’re too exhausted from chopping firewood all day. So how do you go about getting firewood without over expending energy or dipping into your wallet for a small pack of burn wood? The solution is to find the best log splitter available. 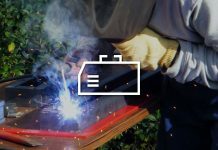 These tools not only save you time and hassle, but they also prevent the possibility of dangerous or even fatal accidents. Want to know what's the ideal splitter for you? Read on for a list of the best products in the industry. If you're looking for an ax that can split wood in the blink of an eye, this is definitely the ax for you. 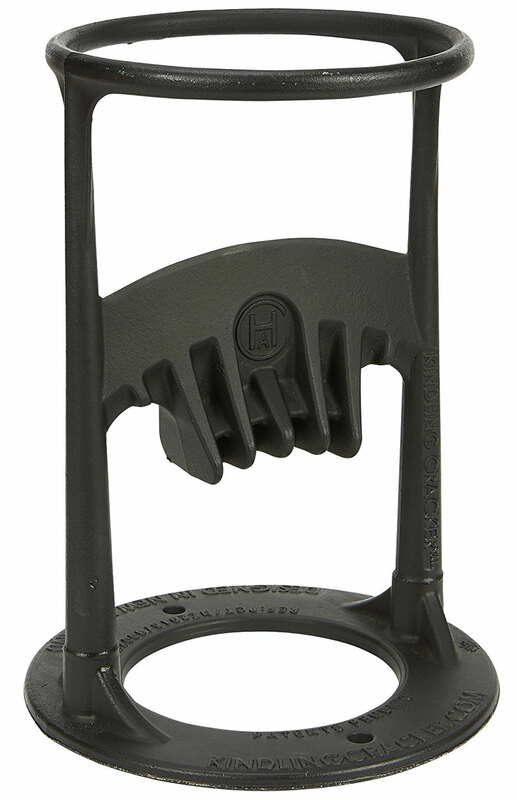 This product is ideal for taller users since it's 36 inches, which helps you to maximize your safety and also minimize the amount of effort you have to put into a swing. As amazon’s best selling log splitter, this product is designed to cut wood in one swing. And the best part? It's totally hassle free. The ax practically does most of the work for you, which is what makes it the best splitting axe on the market. Even better, for a little over $50, you get an ax that's incredibly durable. This product is designed to last with a blade that’s almost impossible to break, which is why it’s the best log splitter ax. The nice thing about the Kindling splitter is that it's super safe. You don't have to worry about hurting yourself with a blade, and you don't have to over-exert yourself using it. All you do is place the wood over the iron casing, as strike it with a hammer. In almost no time you’ll be holding two pieces of wood instead of one. What’s more, this product comes with a five-year warranty and never needs to be sharpened. This electric wood splitter takes all the work out of wood chopping. What’s more, it’s incredibly safe. You won’t have to worry about cutting your hands on the blades (or you know, accidently chopping off a finger). Although this is more expensive than some axes, it’s definitely worth the investment if you can’t (or simply would rather not) put in the effort to manually chopping your own wood. Ideally, this machine can handle anywhere between 21 to 24 inches in length of wood and works like a charm on almost every single time. Rarely does it struggle to cut bigger pieces of wood. 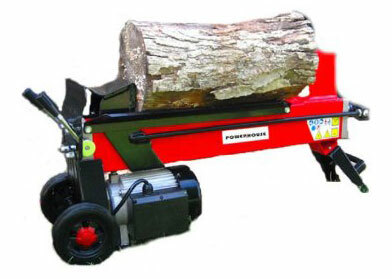 This is a powerful hydraulic log splitter that can work on nearly every type of wood. If you've managed to accumulate a huge pile of wood that needs splitting, you'll enjoy watching this machine zoom through it at lightning speed. Additionally, this machine is well built, so it can take on a large workload with no gripes. When it comes to operating this machine, keep in mind the final size of the split log you want. According to a few electric log splitter reviews sometimes you might have to run a log through once more just to get it down to the size you prefer. This is a splitter that’s designed to go through a lot of wood. 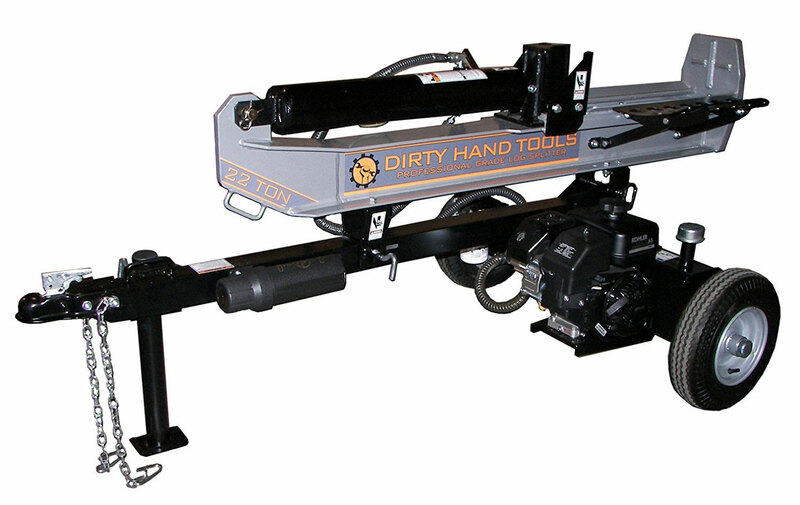 The heavy duty Dirty Hand Tools Gas Log Splitter is easy to start, simple to use, and highly efficient. Assembly is also hassle-free. 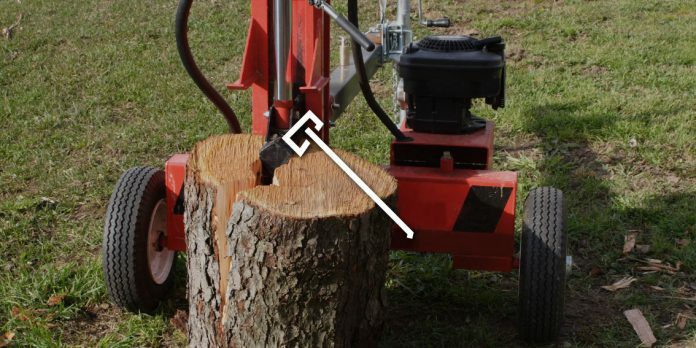 The log splitter can cut through a 36-inch log in diameter with almost no effort, and it can even cut against the grain of the wood without any trouble. While some exceptionally large pieces might slow this machine down a bit, they don’t give it much grief, and with some time it will go through them as well. What’s so amazing about the Snow Joe LJ601E electric log splitter is that it’s easily portable. That means you can take it with you on camping trips, and you don’t have to worry about manually chopping wood. However, some log splitter reviews suggest that because this machine is on the less expensive side, it can’t handle continuous use. 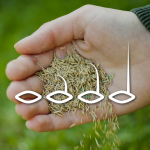 It’s more ideal for occasional, recreational use. 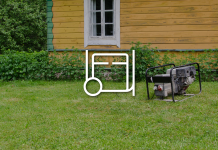 If you use this machine too much, it will be prone to suffering wear and tear quickly, so it’s definitely not for anyone that has a ton of wood to chop. 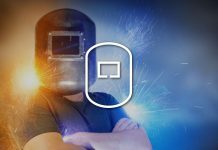 One the other hand, if you experience problems within the first two years, you can reach out to customer service since the product is backed by a two-year warranty. 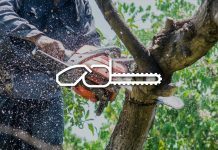 As a manual hydraulic splitter than makes cutting wood safe and easy, which is it’s the best log splitter available for customers that prefer manual options. While this doesn’t take all the work out of splitting wood, it does make the process significantly easier, which is why it’s the best manual log splitter. Remember, however, that you can only split logs that are less than 18 inches. Anything over 18 inches simply won’t fit. 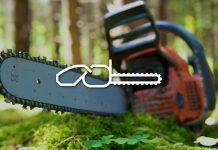 Considering the price, this is the best wood splitter alternative to chopping wood in the traditional way and it definitely saves time. 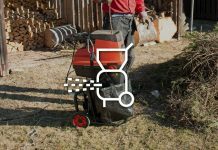 If you're looking for a log splitter that's fast and entirely effort-free, you'll enjoy the Aleko 4-ton electric log splitter. 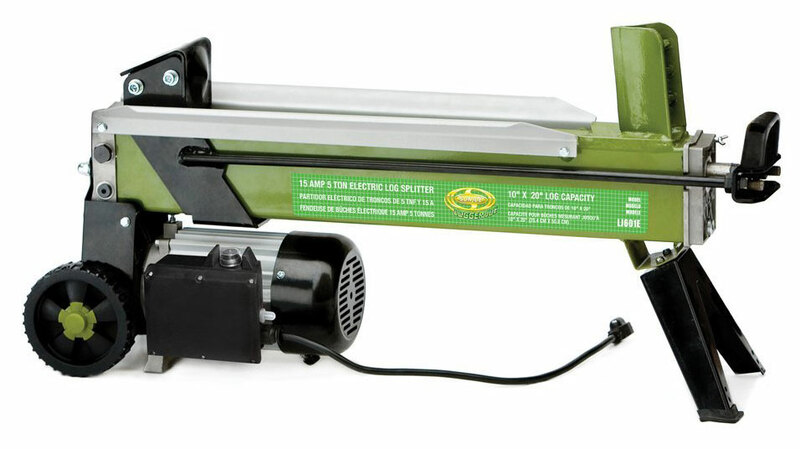 Backed by a series of electric log splitter reviews, it’s a safe option as opposed to using an ax, or even some other electric models. 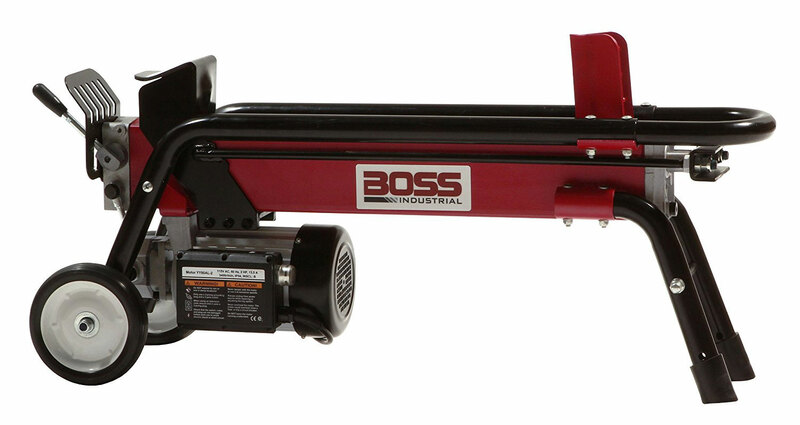 Usually, this product works with logs up to 20 inches in length, so it’s ideal for medium sized logs. One important thing to note, on the other hand, is that this is a 4-ton machine, which means that it’s not going to have the same output of an industrial grade product. If you plan on using this splitter for medium to light use, you won’t be disappointed. 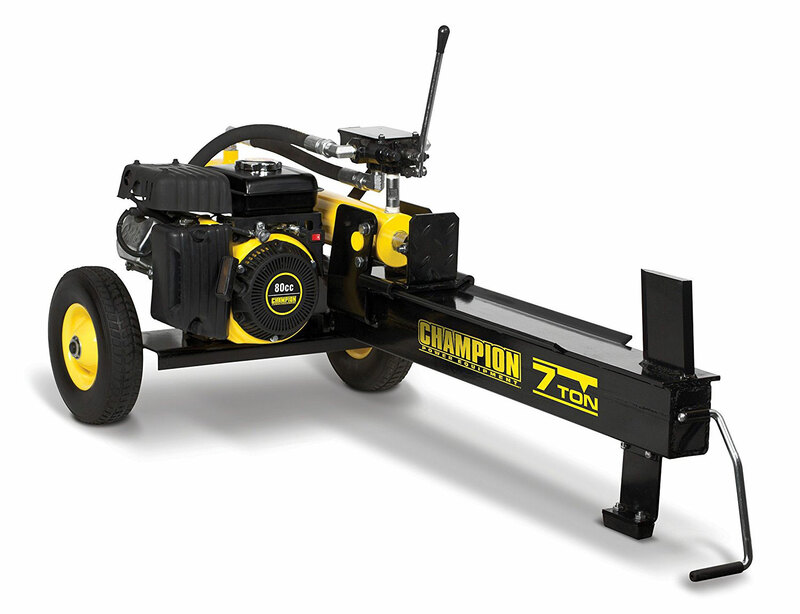 The Champion Power Equipment 7-ton Compact log splitter has a 20-second cycle—ideal for getting your wood chopping done fast. It’s designed to handle plenty of wood a small time frame, with the ability to churn out 180 rounds in an hour. Even better, it’s versatile with the ability to handle a range of wood from pine to ash. In fact, using the machine is so effortless that you won’t regret spending the money. It’s bound to save you more money and eventually pay for itself. This product makes cutting wood a breeze. 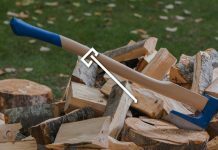 As a four in one wood splitter (which operates as a wedge, ax, splitting ax, and a hammer), this is one of the most effortless products to use and it's very safe. You don’t have to worry about cutting yourself because your hands never come near the wedge. Additionally, it saves you from having to slave away with an ax, which can cause significant strain on your back, arms, and shoulders. This is the best wood splitter for multi-functional use. When selecting a log splitter, you need to put your own health and safety first. 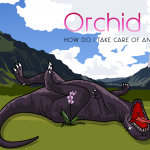 You want a product that you feel at ease using, so you're not putting yourself at risk. That means that if you purchase an ax, you need one that fits your height. Additionally, you need to feel comfortable using the ax. You don't want to purchase a product that you're not certain how to use and ending up hurting yourself. 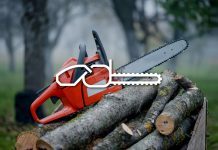 That’s why it’s crucial to take a few things into consideration before you track down the best log splitter for you: the amount of wood you typically split, your health condition (i.e. do you have a bad back? 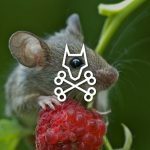 Any major health concerns? ), and finally the price. Ideally, you want to find a happy medium between safety, the amount of money you’ll pay, and convenience. The operation of a log splitter will depend on the kind of tool you use. However, you want to remember that no matter the type of splitter you choose, you want to operate it with care. Always exercise caution when using these products. Although manual log splitters seem pretty straightforward, what might not be as apparent is how to use and electric, gas, or manual hydraulic wood splitter. While you should always follow the instructions that come with your product, the idea is relatively simple. When operating any of these machines you want you be standing at the opposite end of the wedge, so that the log moves away from you. Make sure that you don’t get too close. To get the most optimal logs for burning you might have to split the wood into halves and then quarters. Hydraulic Hand Log Splitter. 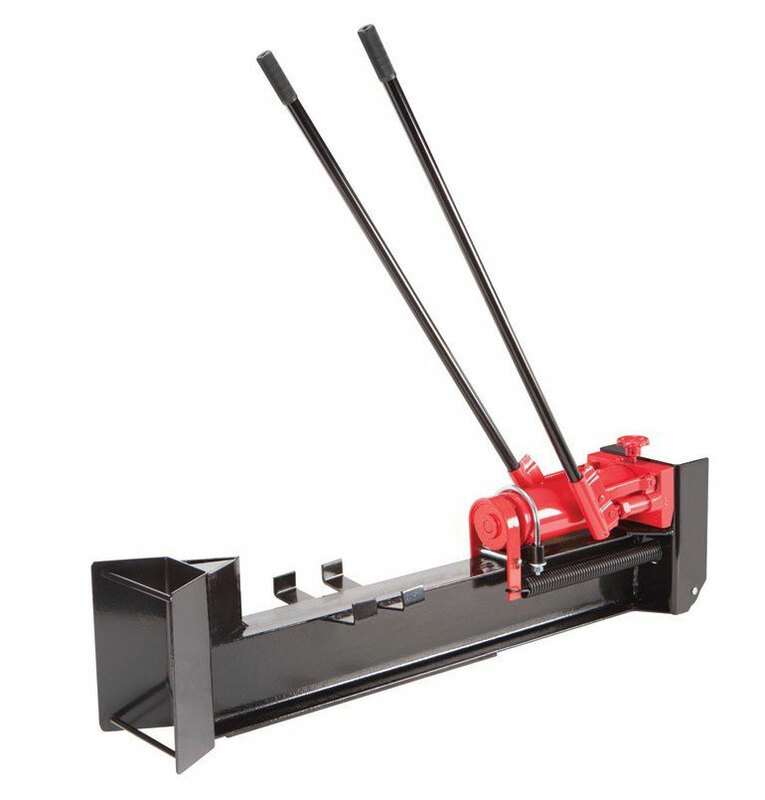 Ideal for small jobs, these log splitters work by a manual hydraulic system that pushes the wood toward the wedge and continues to apply pressure until it runs all the way through. Gas Splitter. A gas splitter is convenient if you don’t want to do a larger job by hand, and they’re extremely powerful. This type of splitter is typically known as the best log splitter for high output. Electric Splitter. 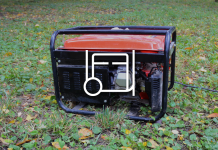 Powered by electricity, an electric wood splitter is great for getting midsized jobs done. You just need to place the wood on the machine and watch as the magic happens. Unless you're Paul Bunyan, odds are you don't have all the force or energy necessary to cut through 100-200 logs of wood in one sitting—at definitely not with an ax. That doesn’t make you any less of a pro-lumberjack. It just makes you human. In fact, if you think about it, all the pros have tools that make the job easier. Even the best mechanics don't do things the way they did 100 years ago. They use advanced technology to make the job easier. I can almost guarantee that even Paul Bunyan wouldn’t have minded using a gas splitter to get the job done faster. 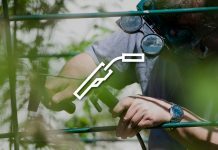 Remember, when it comes to manual jobs like woodcutting, the best principle is to work smarter, not harder. Is it easier to split fresh logs or dry logs? For the most part, whether or not the wood is fresh or dry doesn’t really make a huge difference. In most cases, the amount of force required to cut through the wood will be almost about the same, even if the inside is still fresh. This is definitely good news if you don’t like having to wait for your wood to dry. However, there are a few situations when this rule changes. For some species of wood, the cutting process is a lot easier if the wood is dry. 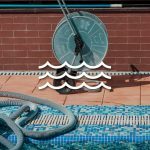 The reason is that some fibers are tougher to cut through when they’re still wet. 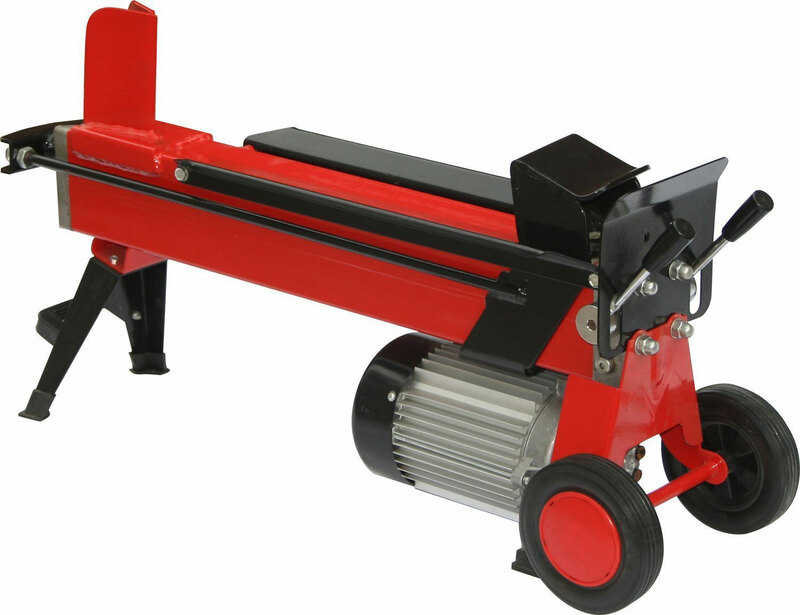 What Kinds Of Log Splitters Are Available? 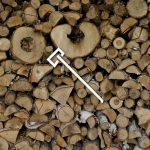 As you may have noticed through these log splitter reviews, there are a variety of wood splitters available, from axes and wedges to gas and electric machines. A lot of the times, the least expensive kind of log splitter will be a manual hand-held tool, like an ax or a kindle. On the other hand, these products take more time to use and they're not ideal for handling a huge workload (unless you’re some kind of woodpecker). When it comes to safety, you want to make sure you make it a priority. Accidents that happen with a long splitter can be costly, painful, and occasionally fatal. That’s why it’s essential to make sure you follow the instructions laid out in your product manual to the T.
Additionally, never use a log splitter around children under the age of 18, and never let children operate any kind of splitter. On the same line of thought, avoid operating (or using) your product around pets. Even more importantly, make sure you wear the proper attire when splitting wood. Ideally, you want to be wearing a long-sleeved shirt, pants, boots or close-toed shoes, and gloves. Remember, split wood usually means splinters, which can be a painful and irritating nuisance. 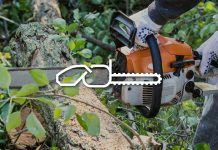 At the end of the day, safety is the most important feature when it comes to selecting a log splitter. Remember, you want a model that you feel comfortable and at ease using. Additionally, you should also take your personal health into account—not just for the sake of safety but also for convenience. 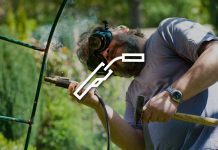 Spending a few extra dollars on finding the best electric log splitter or the best gas log splitter will save your bad back is and can ultimately prove to be a goldmine. Even more importantly, don’t forget the reason why you’re cutting wood in the first place: to spend a warm evening by the fire with friends and family. So find the splitter that lets you enjoy that time with the least amount of effort.